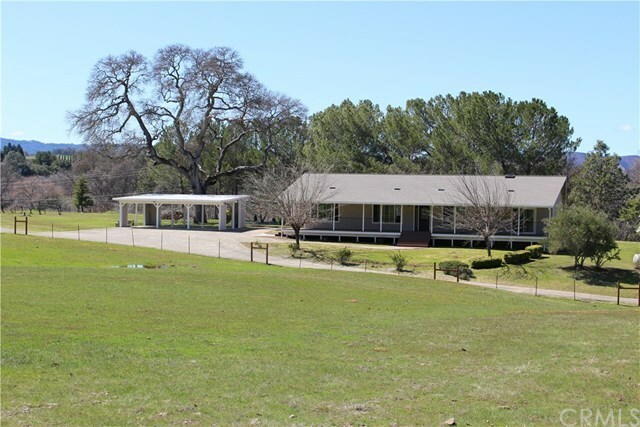 Charming 2,240sf ranch style home completely remodeled with a 1,800sf barn and multiple outbuildings. Centrally located close to town, but secluded enough for the ideal retreat. Turn key and move in ready with a fully upgraded kitchen, brand new appliances, wet bar, vaulted ceilings with original cedar plank features, Venetian plaster accent walls with fireplaces, and stunning bathrooms. This 5.02ac property has a large updated porch with stunning views, full RV hookup, and plenty of storage for vehicles, RVs, boats, etc. Property is fully fenced making it perfect for horses, goats, sheep, and livestock. Adjacent 7.51ac ready to build parcel available for additional price.